Brad Furman's THE INFILTRATOR is ready to infiltrate your best crime-drama list! The Infiltrator is an amazing film. A suspenseful, emotional, crime drama, that keeps you on edge of your seat, but also makes you smile, laugh, and almost cry. Amazing performances by Bryan Cranston and John Leguizamo, with brilliant direction from Brad Furman. The screenplay is crisp, and the cinematography is beautiful. A wonderful "mob film", that will be remembered. It’s directed by Brad Furman and written by Ellen Brown Furman (Brad’s mother), based on the autobiography of the same name by Robert Mazur, a U.S. Customs special agent. Mazur helps bust Pablo Escobar's money-laundering organization by using his alias, "Bob Musella." The film stars Bryan Cranston, Diane Kruger, Benjamin Bratt, John Leguizamo and Amy Ryan. Art Shrian: Congratulations on the wonderful film. I could not even get up to pee, since the movie was so tense and gripping, honestly. I really enjoyed, the tension, thrill, drama and everything about the film. Good Job Brad! Brad Furman: (laughs) Thank you very much. I’m so glad to hear that. Thanks! AS: So tell us about how did this movie came along? BF: My friend from college, Don Sikorski, brought me the book. And he felt very confident that this was a movie we had to make. I read the book, and was totally blown away, and completely agreed with him, that this movie had to be made. The most of the core of the movie, and the conflict he (Robert Mazur, Bryan Cranston’s character) was in, in trying to be friends with people, and then having to betray them, and the conflict he was in, was very very interesting. AS: I really enjoyed the human element of the film, where you were able to build sympathy for almost every character. It’s beautifully written, by Ellen Brown Furman. Great job. How did you end up with this wonderful cast? BF: I made it a family affair. 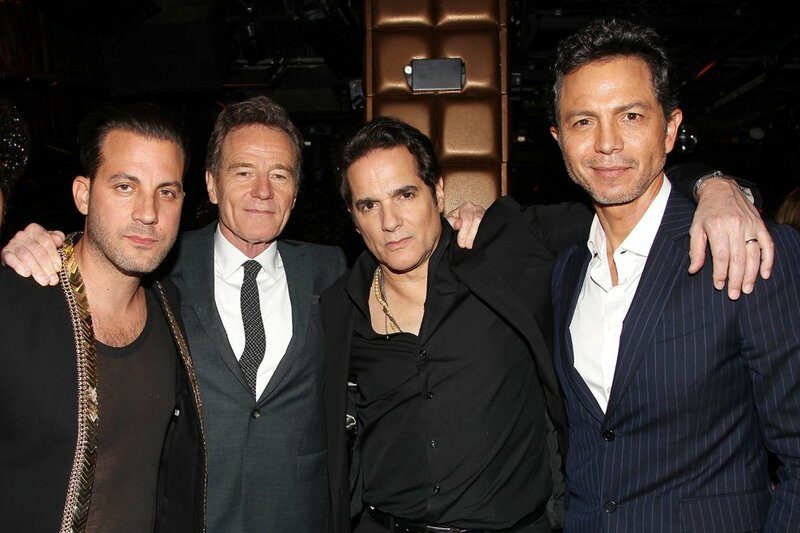 Benjamin Bratt and Yul Vazquez, I have known for over 20 yrs, going back to ,my days my assistant to Julia Roberts. I’ve always wanted to work with them as characters. John Leguizamo starred in my first movie. So an opportunity to bring him in such a powerful role was amazing, i’m very proud of. I‘ve built these relationships with these wonderful people, and it translates very very much on screen as well. AS: Talking about relationships, you have a wonderful set of friends. And you are very much an Actor’s director, which we can see on screen and in the wonderful performances. What will be your advice to young filmmakers and storytellers on that side? BF: In age of digital cinema, the reality is simple, that you go out and shoot, shoot, shoot. The crucial reality is that, it will give you an opportunity to learn, explore and evolve. But as an Actor’s director, you want to be able to put yourself in a situation that you’re casting actors that are elevate the words on the page and elevate the craft. Embody the movie in a way, so that it moves you and means something to you. So as a result, you get great art. It’s hard to articulate to young filmmakers, that how important it is to cast properly. When i’m casting these roles, I go with my gut, and instincts as to who makes sense, who’s right for the role. AS: What was the hardest part of making this film? BF: There’s no question that there’s real challenges to making a period film. There was a pressure on me, which was constantly mounting. But hopefully great filmmaking is that you take those challenges, and work in that construct, and being creative, you accomplish it. I just looked at those challenges, and came up with creative ways to resolve. BF: Bob gave us so many stories, and it was a lot. You get so many stories in these films and it’s difficult to keep some, and cut some. But you have to make that compromise. You go through a process of trying to be as precise as possible. You keep rewriting and reworking, until editor’s table. But I didn’t make any decision without consulting Bob. He was with me side-by-side. And that’s how I was able to balance the truth, and storytelling for the movie. AS: So what’s next for you? 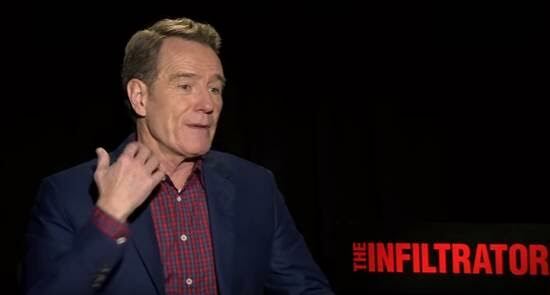 BF: I have a TV show that Bryan Cranston is producing, something i’m very proud of. There are some very personal stories I’m working on. But it’s a challenge every day to get complex character driven movies made. But I’m in a good place, fighting a good fight. AS: What’s your most favorite and Least Favorite thing about New York? BF: New York City is my home to me. This is where I grew up, matured, went to film school, became a man. It’s the core of the essence of how I interpret the sounds and sights of the streets, as I walk by the city. There’s no question, beyond the shadow of doubt, that I’m deeply inspired by the roots and history of my years here early on. I hope I get to come here and make a movie, and evoke the New York stories, as they would say. The least favorite thing, probably would be big rats (laughs). I find them slightly interesting. I like everything about New York - the diversity, the grit, the everything. AS: True that. Congratulations again and thanks for talking to us. Starring: Bryan Cranston, John Leguizamo, Diane Kruger, Benjamin Bratt, Yul Vazquez, Amy Ryan, Joseph Gilgun, Saïd Taghmaoui and Olympia Dukakis. Based on a true story, Federal agent ROBERT "BOB" MAZUR (Bryan Cranston) goes deep undercover to infiltrate Pablo Escobar’s drug trafficking scene plaguing the nation in 1986 by posing as slick, money-laundering businessman Bob Musella. Teamed with impulsive and streetwise fellow agent EMIR ABREU (John Leguizamo) and rookie agent posing as his fiancé KATHY ERTZ (Diane Kruger), Mazur befriends Escobar’s top lieutenant ROBERTO ALCAINO (Benjamin Bratt). Navigating a vicious criminal network in which the slightest slip-up could cost him his life, Mazur risks it all building a case that leads to indictments of 85 drug lords and the corrupt bankers who cleaned their dirty money, along with the collapse of the Bank of Credit and Commerce International, one of the largest money-laundering banks in the world.